Christopher Alcazar is the Vice President of New York Region Insurance Business Development, Admissions, and Community Relationships at Phoenix House of New York. He has a broad understanding of operating programs in non-profit settings which he attained from over 20 years of management experience. His expertise lies in ensuring qualitative program services, tracking and managing revenue and loss, as well as other financial performance metrics. Christopher’s current work includes providing the operational oversight and coordination of all insurance business development activities in the New York region. He also provides management of multi-site programs, and develops market specific strategies that increase referrals and drive maximum performance. Christopher pursued a career in the non-profit field immediately following his undergraduate studies, after securing his first full time job as a counselor working with the homeless. He grew to love the work and appreciate the feeling of being able to make a difference in people’s lives. He attributes his success and growth as a leader to his ability to build productive relationships, utilizing a strength based approach to connect well with others. He has a Master’s degree in Program Administration and Clinical Practice from the Hunter College School of Social Work. Christopher is happily married. He and his wife, Laura, recently bought a home in Park Slope, Brooklyn. They both enjoy traveling, and exploring the many “off the beaten path” gems in their new neighborhood with their 90 lb. retriever/hound mix, Jack, who is very sweet and thinks he is a lap dog. Ellie Canter is the Director of Programs at Turning the Page, an education non-profit committed to building family engagement capacity in D.C. Public Schools. She leads Turning the Page’s partnerships with eight public schools in Southeast D.C. to strengthen relationships between teachers and families that foster greater learning outcomes for students. Turning the Page has successfully partnered with over 5,000 public school families and trained over 150 parent leaders through their model for family engagement that has been honed over 17 years of work in the D.C. community. Ellie is now supporting Turning the Page’s expansion to four schools in the N. Lawndale community of Chicago Public Schools and aligning their evaluation efforts across the two cities. Before coming to Turning the Page, Ellie graduated with a Master’s in Education Policy and Leadership Studies from the University of Washington’s College of Education. During her time as a graduate student, she led a pilot undergraduate service learning seminar as well as the National Education for Women’s Leadership program through the University of Washington’s Women’s Center. Prior to graduate school, Ellie served two years as a college adviser through the National College Advising Corps, an AmeriCorps program that supports potential first generation college students and their families as they explore post secondary options for college and career. Her research and work are shaped by the drive for more equitable educational outcomes for parents, students, and teachers in under resourced schools. She is an alumna of the ProInspire Managing for Success Fellowship and was featured by The Washington Business Journal as part of their "People on the Move" segment. Ellie graduated with a Bachelor’s in English and French Literature from the University of Virginia in 2007. Arthur Cutler serves in the newly created Chief Operating Officer position at Fair Chance. Arthur is responsible for providing leadership, planning, management, and enhancement of Fair Chance’s internal organization systems and infrastructure. He oversees the budget and directs financial planning and accountability, human resources, and day-to-day office operations and technology systems. Arthur has considerable experience in organizational management, operations, board governance, human resources, strategic planning, resource development and training. Arthur also serves as Membership Chair for the 100 Black Men of Greater Washington DC, the Fort Foote PTA President and Founder of the Imanewdaddy.com website Arthur has a B.A. in political science from Morehouse College, a law degree from Michigan State University and completed his Nonprofit Executive Management studies at Georgetown University. Previously, he worked as the Coalition Membership Director at the National Crime Prevention Council, Deputy Director of Network Growth with the Alliance for Nonprofit Management and Director of Organizational Management with the National Disability Rights Network. Arthur is also a former Presidential Management Fellow. Arthur is married to Tracy Cutler and they have two kids, Arthur III and a newborn, Braelyn Gabrielle. They reside in Fort Washington, MD. 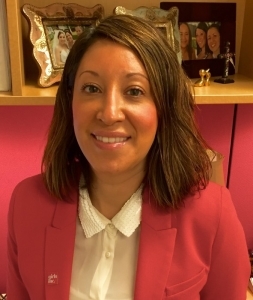 Amira El-Ghobashy leads strategic outreach and fund development efforts at the Center for Employment Opportunities (CEO), a national employment reentry organization serving men and women with recent criminal convictions. With nearly a decade of experience in nonprofits, Amira has advanced a range of innovative civic engagement and workforce development programs with measurable impact. She has also forged unprecedented institutional partnerships, promoting mission-driven objectives while extending resources to build capacity. Prior to joining CEO, Amira was Manager of Leadership, Diversity and Student Development at the American Society of Mechanical Engineers (ASME) where she led several workforce development initiatives, including campaigns to promote STEM education and advancing the role of engineers within the global development community. Amira holds a Bachelor of Science (BSc) in Communication Studies and a Master of Public Administration (MPA), both from New York University. Cristina Garcia has ten years of non-profit management experience. Her areas of expertise include community outreach and civic engagement, public affairs, advocacy and social service. Ms. Garcia has worked on the design and implementation of community education programs as well as helping drive systemic change through policy and advocacy initiatives. She has worked with diverse groups across various issue areas but maintains a special interest in the advancement of human rights. Ms. Garcia has been a strong advocate of the need to reform our immigration system to reflect more fair and humane policies. She has worked at the local and national levels on campaign and reform initiatives, as well as facilitated dialogues and trainings on issues of immigrant inclusion and integration and on civic participation. Presently, Garcia works with the National Alliance of Latin American and Caribbean Communities, a national member-based organization that examines, crystallizes, promotes and defends better economic, social and policies that impact migrants in both their host and native countries throughout the Americas. Garcia’s role at NALACC is to seek and form strategic alliances while working towards the rebranding of the organization and the creation of an individual membership program. Cristina holds a Bachelor’s degree in Business Administration from Robert Morris University and a Master’s degree in Social Policy from the University of Chicago’s School of Social Service Administration. Arturo González Vargas was born on October 9, 1988, in Monterrey, Nuevo León, México. He earned his Master of Arts in International Relations from Macquarie University in Sydney, Australia, where he was awarded with the Vice-Chancellor’s Commendation for Academic Excellence. He received a Bachelor of Arts in International Relations from Tecnológico de Monterrey, Campus Monterrey, where he graduated top of his class and received the highest honors for his performance in dramatic arts and social development projects. Arturo has four years of experience in the nonprofit sector. In 2013, Arturo co-founded, with two of his best friends, the social development program called LiberArte. The mission of this program is to build a strong and peaceful community through artistic education for teenagers. Arturo is currently an Atlas Corps Fellow. Atlas Corps is an international network of nonprofit leaders and organizations that are addressing the biggest social challenges of our communities through innovation and collaboration. Atlas Corps is now the State Department’s strategic partner in the pillar of "Emerging Global Leaders Initiative" in President Barack Obama’s "Stand with Civil Society" agenda announced in September 2014. Arturo was elected by his peers to serve as Chair of the Fellow Executive Committee, which represents the Fellow community directly with the organization’s staff and implements projects to improve the overall experience. Arturo leads the committee meetings and bilateral communication with the Fellows. Arturo was selected by Kids’ Food Basket through Atlas Corps and is currently serving as Projects Specialist. 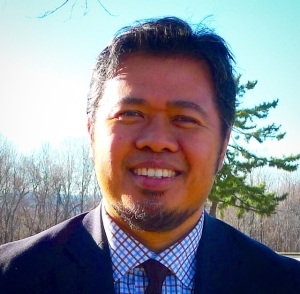 Arturo proposes, designs, implements, and evaluates projects to serve the Latin American community in Grand Rapids. His projects break down cultural, linguistic and transportation barriers to make the organization more inclusive of the Latin American community. He is also responsible for collaborating with key community partners in the region. Sarah Ha serves as the Senior Managing Director of the Asian American & Pacific Islander Initiative on the Strategic Initiatives and Partnerships team at Teach For America. She currently serves on Teach For America’s Diversity Action Task Force aiding the Chief Diversity Officer in charting the future direction of the organization’s diversity, equity, and inclusiveness commitments. Prior to joining the organization, Sarah was the Senior Director of Programs and Student Affairs at the Asian & Pacific Islander American Scholarship Fund (APIASF) and Gates Millennium Scholars (GMS) Program in Washington, DC. She oversaw the strategic development and implementation of academic support, leadership development, and community-building programs for recipients of the APIASF and GMS scholarship awards. She also worked in partnership with the National Commission on Asian American and Pacific Islander Research in Education (CARE) to plan and host APIASF’s annual Higher Education Summits in Washington, DC. Sarah has 8 years of experience working in multicultural affairs conducting research on the educational experiences of underrepresented and underserved students in higher education in addition to coordinating diversity related programs and initiatives. Prior to APIASF and GMS, Sarah worked in the Office of the Dean of Students at University of California, Los Angeles (UCLA), the UCLA LGBT Campus Resource Center, and served as an Intergroup Dialogue Facilitator dedicated to creating inclusive and diverse campus environments. Her previous work experience includes a legal analyst position at Cowen and Company, LLC and her litigation paralegal role at Paul, Weiss, Rifkind, Wharton & Garrison LLP. Sarah earned her Masters of Education degree in Student Affairs, Higher Education & Organizational Change from UCLA. She received her bachelor’s degree in Sociology with a minor in Faith, Peace & Justice from Boston College. Sarah has a deep commitment to engaging in social justice, equity, diversity, and inclusivity work. Laurin Hodge often says she did not pick prison, prison picked her. It was the unexpected incarceration of her mother which motivated her to craft a social entrepreneurial career. Through Mission: Launch she envisions the elimination of the social stigma Returning Citizens face upon release from prison or jail. In order to reach this vision their team builds community coalitions and software so that the complex re-entry process is simplified. They believe this is the key to improve service delivery and unlock the potential of Returning Citizens to become productive members of society. She is honored when they are invited to walk the re-entry journey with women and men rebuilding their lives.Laurin has earned professional certificates in Leadership Development for Minority Managers (2010) as well as Competitive Intelligence (2011) from The Johns Hopkins University, Carey School of Business. She expects to complete her Masters of Science degree in Information Systems in 2015. Laurin is a member of: StartingBloc (LA 13); Caux Scholars (2014); and Ashoka/American Express North American Emerging School Innovators (2014). As a Greater Washington, D.C. native she is eager to grow Mission: Launch, Inc and the Rebuilding Re-entry Coalition in the D.C./Baltimore region. Cristy Johnston Limon joined Destiny Arts Center as Executive Director in January of 2011 with over ten years of non-profit leadership, community and economic development, and public policy experience. During her tenure at Destiny, Cristy doubled the organization’s size, solidified its reputation as a dynamic, high quality youth development organization, and raised Destiny’s visibility and sustainability by purchasing, renovating and occupying Destiny’s new community arts facility in North Oakland. Cristy has been recognized as an emerging leader, most recently winning the Young Nonprofit Executive Director of the Year award, the Community Impact Award, and is 1 of 50 international arts leaders selected to participate in National Arts Strategies’ Chief Executive Program: Community and Culture- designed to bring arts leaders together for collective learning and impact. She is currently pursuing an Executive MBA at the Haas School of Business at the University of California, Berkeley with a concentration in social responsibility and entrepreneurship. Driven by a commitment to strong and healthy communities through organizing, collaboration and consensus building, Mrs. Johnston Limón’s community involvement focuses on empowering young people through volunteerism, community engagement and the arts as well as strengthening nonprofit leadership. She has been involved in various community organizations including the Oakland Rotary Club, Treasurer of the Board at the Japanese Community Youth Council, LeaderSpring graduate, and alumna of Hispanas Organized for Political Equality (HOPE) and Emily’s List. 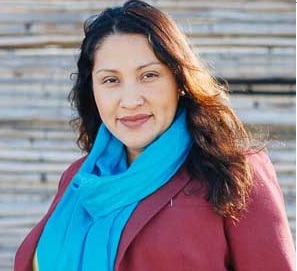 A native of San Francisco of Guatemalan descent, Cristy is a first generation college graduate of the University of California, Berkeley with a degree in Political Science. She draws from her own experiences as a public school student immersed in dance, theater, music and sports to advocate on behalf of arts education and for Destiny’s mission and vision to end violence through the arts. Cristy currently resides in Oakland with her husband Tom Limón and one-year old daughter Natalia. Dr. Sarah Kastelic became the executive director of the National Indian Child Welfare Association is January 2015, assuming the responsibility from founding director Terry Cross. Dr. Kastelic was selected to succeed Cross in 2011 and spent four years under his guidance, assuming increasing responsibility of operations and management of the 30-year-old national child advocacy organization. Prior to joining NICWA, Dr. Kastelic led the National Congress of American Indians (NCAI) welfare reform program and was the founding director of NCAI’s Policy Research Center. Her experience with NCAI gave her a sense of the need for timely, credible data to inform policymaking at the tribal and national levels. She also saw firsthand the tension between tribes reacting to the policy proposals of others and the opportunities for tribes to develop their own, proactive policy solutions. In November 2014, national leadership network Independent Sector awarded Dr. Kastelic its American Express NGen Leadership Award, calling her "a transformational leader working to further policy research that empowers American Indian and Alaska Native communities." Dr. Kastelic is Alutiiq, an enrolled member of the Native Village of Ouzinkie. After receiving a bachelor’s degree from Goucher College, she earned a master’s degree and PhD from the George Warren Brown School of Social Work at Washington University in St. Louis. Faisal Kazi Seraj is a proponent of holistic approach towards reducing world poverty. He believes that synergy between financial and non-financial services for the poor are not only necessary for sustainable impact on their lives but it also makes economic sense. His previous research background and work for BRAC in Sierra Leone, Liberia, Uganda and Bangladesh influences him to promote operational models that will take into account sustainability from the perspective of beneficiaries as well as implementing organizations. As a founding Country Representative for BRAC in Myanmar, Faisal is implementing a development model that harnesses power of the village groups to provide services related Microfinance, Health, Agriculture and Education. Faisal has a Master’s in Environmental Economics from the University of New South Wales in Australia and a Bachelor’s (Hon’s) in Economics from the University of Dhaka. He received Swedish Government’s scholarship to attend PhD level coursework at Gothenburg University and attended AMEX Leadership Academy at Thunderbird School of Global Management. David Lee is the executive director of Feeding Wisconsin, the state’s association of food banks, and leads its efforts to ensure that all families living in every corner of the state have the access to the food and benefits they need to work, learn and live healthy lives. Previously at Feeding America, the nation’s largest anti-hunger charity, David managed partnership and program development and led its state policy and grassroots advocacy. He has served as an advisor to the National Conference of State Legislatures’ Hunger Partnership and the Farm Foundation’s Dialogue Project for a 21st Century Agriculture. In the Milwaukee community where he lives with his wife, David is the President of the Board of Directors for Outpost Natural Foods, the nation’s third largest natural foods cooperative by volume of sales, and also serves on the board of Ex Fabula, a local non-profit that aims to strengthen community bonds through the art of storytelling, chairing its governance committee. David was an American Express/Independent Sector NGen Fellow and a Wisconsin Political Leaders Fellow. He attended Vassar College, where he holds an A.B. in film and drama, and is on a personal quest to deadlift 500 pounds and mix the perfect single-malt scotch. Blake McKinlay holds a B.A. and M.A. in International Relations and brings 6 years of experience in the international development and social enterprise sectors. 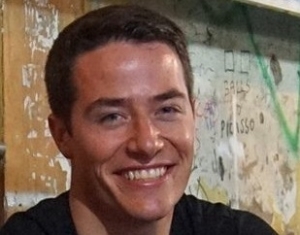 While working with the International NGO iDE, Blake started his career in the business development department raising $30+ million to grow programs across 11 countries in Africa, Asia, and Latin America. He then launched and led the first Knowledge Management Department for iDE’s Global WASH Initiative and was a key member of the team that tripled the department’s revenue, impact, and geographic coverage in 2 years. Blake continued his career at iDE as the Chief of Party for an $8+ million dollar water, sanitation, and hygiene (WASH) project, providing technical and financial oversight and coordination for efforts in Cambodia and Vietnam. In 2015, Blake became the Director of Operations for The Level Market, an exciting social enterprise developing the first e-commerce platform for humanitarian products. Blake brings academic and work experience in 25+ countries and a passion for using the power of business to tackle social challenges. Uma Subramanian is a child rights activist & the India Program Manager for the Hong Kong based ADM Capital Foundation (ADMCF). She has been the driving force behind the foundation’s Aarambh Initiative (Aarambh means ‘A Beginning’ in Hindi) against child sexual abuse and exploitation, in partnership with Mumbai based NGO Prerana. Under her leadership the initiative launched India’s first online resource portal against Child Sexual Abuse & Exploitation. More than 25 national and international organizations contributed resources towards the portal and are now part of the ‘Aarambh India Safety Network’. Between 2011 and 2012, under ADMCF she worked with 6 partner organizations across 7 states in India focusing on innovative programs to educate & protect children at risk. She worked on various issues faced by children in the underprivileged communities ranging from education of girls in Musahar (Rat Eaters) communities in Bihar to protection for children in the red light areas of Mumbai. Previously she worked with the Pratham Council for Vulnerable Children (PCVC) across 3 states implementing and overseeing grassroots projects on rescue and rehabilitation of working children. Besides her Masters from the College of Social Work Mumbai, she completed an International fellowship for Social Workers at the Oslo University College and an executive education program in Social Entrepreneurship from INSEAD School of Business, Singapore. In 2014, she was selected for the American Express Leadership Academy in India. She volunteers as the Director of Muso Magic India that empowers children and adults through music and song writing workshops. She is the board member of the NARMADA Foundation, Delhi that funds and supports rural development. Uma’s interest is to ensure that any intervention on child rights & child protection reaches the most vulnerable child in the most deprived community in India. 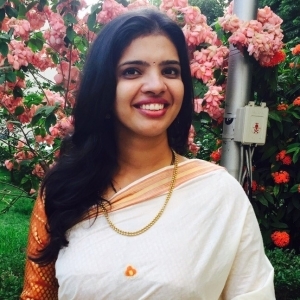 Towards this she hopes to develop a simple, scalable model using technology, engaging with the government and inspiring communities across rural and urban India. Veronica Vela is the Director of Marketing & Communiations at Girls Inc., the nonprofit organization that inspires all girls to be strong, smart, and bold. Veronica joined Girls Inc. in 2011 and serves as the primary steward of the national brand. As Director of Marketing & Communications she leads overall marketing efforts, communications strategies, management of creative services, and marketing support for the entire Girls Inc. network. Before joining Girls Inc., Veronica was an Account Director at various integrated marketing and advertising firms, including The Bravo Group, a division of Young & Rubicam and Publicis Groupe’s Bromley Communications. Her career as an advertising professional included managing accounts in Healthcare, Retail, Packaged Goods, and Cause Awareness. Veronica is a graduate of Fordham University where she earned a BBA in International Marketing and a minor in Spanish Studies.